Fancy a countryside trip? Take off with a paramotor! The RC paramotor is ideal whether to fly from thermal to another or to fly on lowlands. Once you’ve reached the updraft, you can switch off the motor and enjoy the amazing glide that provides the Opale wings. Ideal to do aerobatics flights, it offers you real flight sensations. Bring the fun indoor with the Backpack Oxy 0.5 you will enjoy the outdoor flight sensations no matter the weather. Fancy a trip on the coast or to reach the mountain summits? 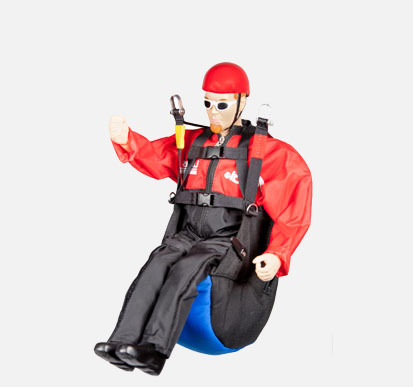 The flight feelings that the Opale Paramodels products provide are unforgettable experience. For slope soaring, you will be flirting with the thermals and the updrafts. So you understand it, you won’t need any motor, only to tame the wind and be at one with nature! The Opale Paramodels products demonstrate an outstanding quality. Each model is distinguishable by its size and also its features. The beginners will look for a full control, and a good handling, in the same time having the possibility to use it in extreme conditions. If the beginner pilot makes a mistake, the wing inflates and goes easily back in position. 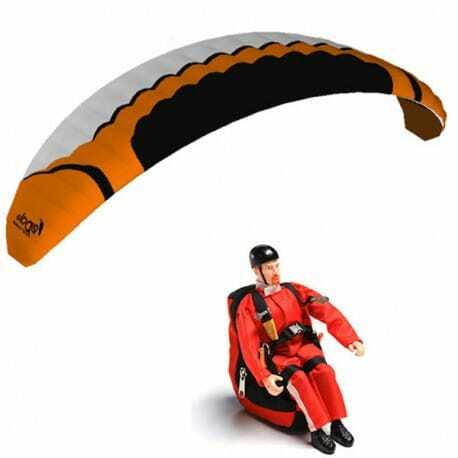 Opale Paramodels is able to provide you a range of products adapted to beginners. 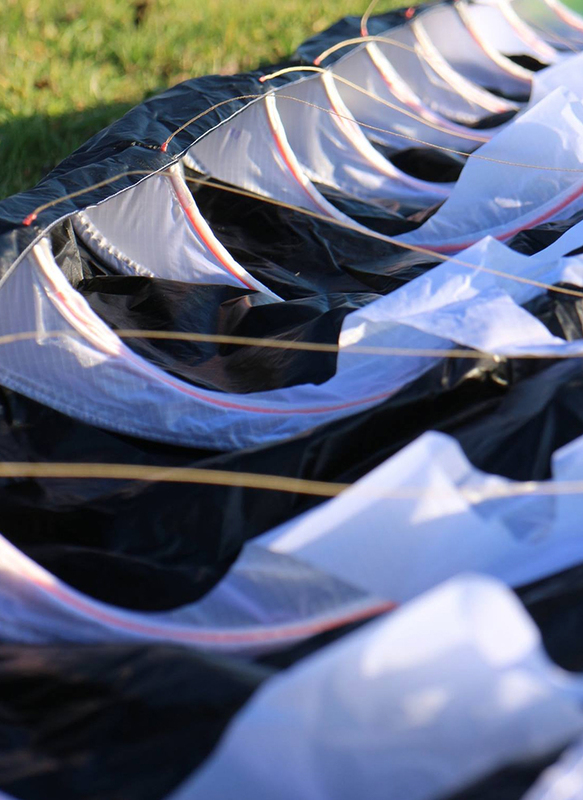 The singler skin and hybrid technologies are perfect to get to know the RC paragliding or paramotoring activity. You will be able to begin with any size of wing. We advise you to favor a single skin or hybrid type of wing. For the intermediate or expert pilots, Opale Paramodels has developed a range of unique products. The fans of performance, agressivity, aerobatics and thermal flights will be pleased. The mid size and large size wings will be able to fit your expectations, thanks to their better air penetration rate, their speed eagerness without having a lack of handling. The flight time is increased and the realism reach its paroxysm! We advise you to favor a double skin wing with a moderate to high aspect ratio, with a large number of cells. Max (35cm/13.8in) is the ideal pilot to carry up to 3kg and to enjoy slope soaring. He includes all the necessary functions to fly with small wings. It is even possible to add a speedbar system. 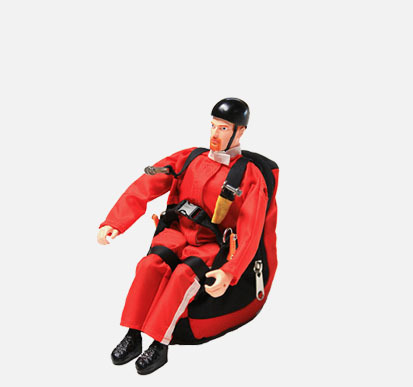 The harness provides enough room to lest the pilot and to face all kind of climatic conditions. An entry-level pilot that will provide you good flight sensations! Lucas (50cm/19.7in) is the perfect flight companion for wings of a bigger size (up to 4m of wingspan). He allows you to carry up to 5kg. Like his little brother, he is able to increase the speed of the model just as much as the real paragliders. The perfect pilot to live an unforgettable flight experience! Tom (70cm/27.6) will provide you real feelings like you always dreamed of. He is currently the biggest pilot of our range and thus he can carry a lot of ballast. The structure of this pilot is designed to get the same behaviors as a human body for an optimal flight, that absorbs impacts and provides breathtaking feelings. He can be associated with wings up to 6m of wingspan. Tom will follow you in your funniest experiences! 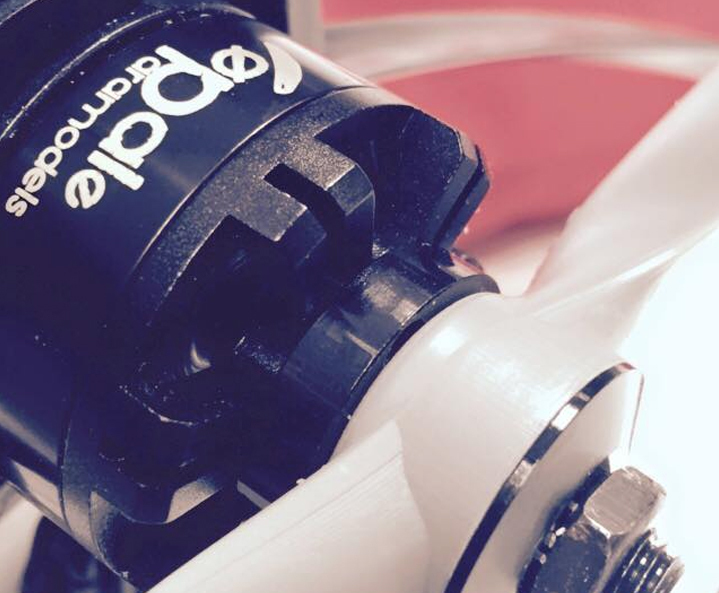 For the paramotors with a backpack or a trike, a motor kit is necessary. The thrust and the motor size must be determined according to the total mass of the wing and the backpack (or the wing and the trike). 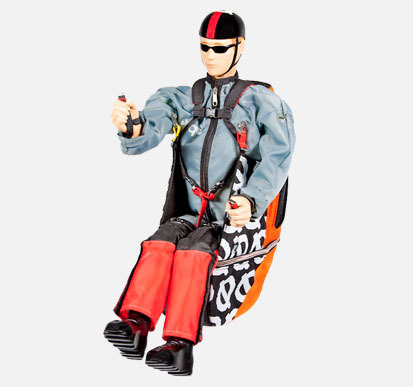 Opale Paramodels provides motor kits especially adapted to the different backpacks / trikes. Our kits are completely tested and approved by our team. For pilots eager to perform aerobatics, it is totally possible to use motorizations with more powerful thrust. Find out all you need on our website! For the paramotors, we provide Lipo batteries. According to the motor model, it will be necessary to associate a battery of 3S up to 12S. For slope soaring, thus without motor, a 2S battery will be more than adequate for several flight hours. Thanks to the paramixer developed by Opale Paramodels, you will have an access to all the necessary functions to fly easily with most of the transmitters available on the market. 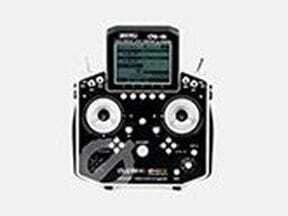 The 4CH transmitter shown on the picture and available on our website is perfect for beginners. 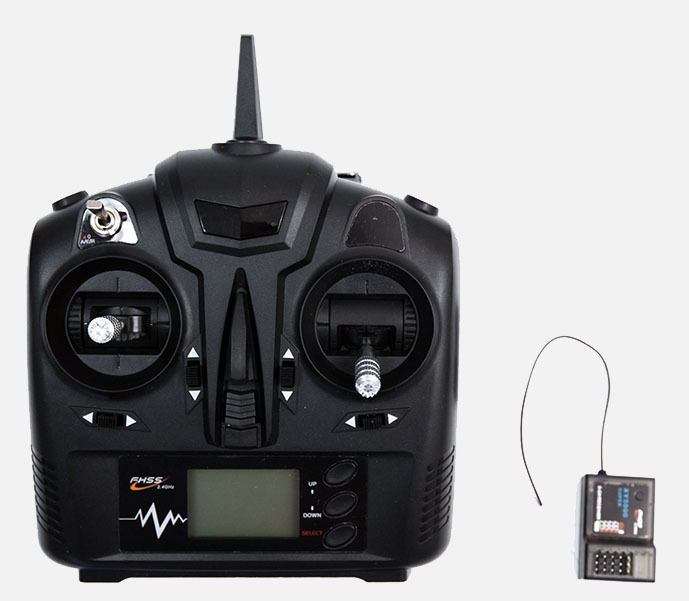 For the pilots who require advanced functions such as the variometer, the GPS or to have an access to the motor characteristics during a flight, we have also a large range of JETI transmitters available on our website. We use cookie to give you the best customer experience possible. If you continue to use our website, we will assume you are happy the receive cookies from us.